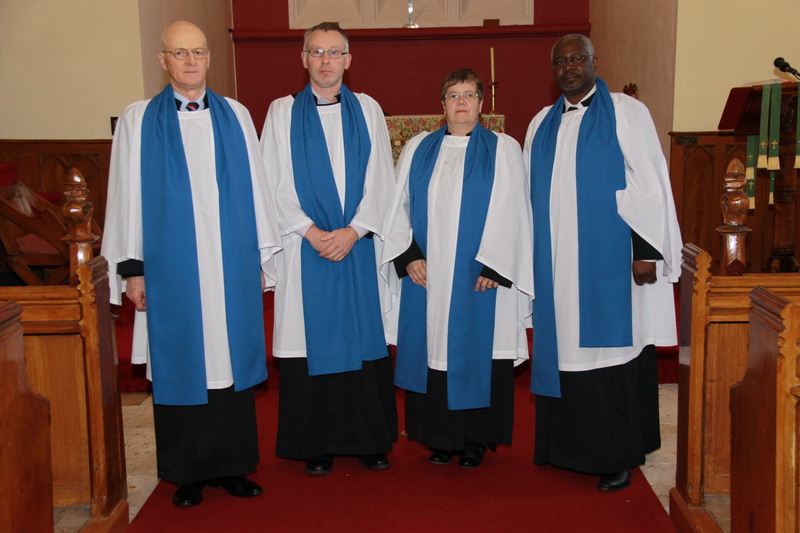 On Sunday next, 17th November, the Bishop of Cork, Cloyne and Ross, the Right Reverend Dr Paul Colton will license four new Diocesan Readers to serve in parishes of the Diocese. The Service is at 4 p.m. in St Fin Barre’s Cathedral, Cork. All are welcome. On Tuesday, 12th November, the Bishop met the four candidates for a final training session and briefing at Holy Trinity, Frankfield. The four candidate Diocesan Readers outside Holy Trinity, Frankfield where they had their final training session with the Bishop himself. 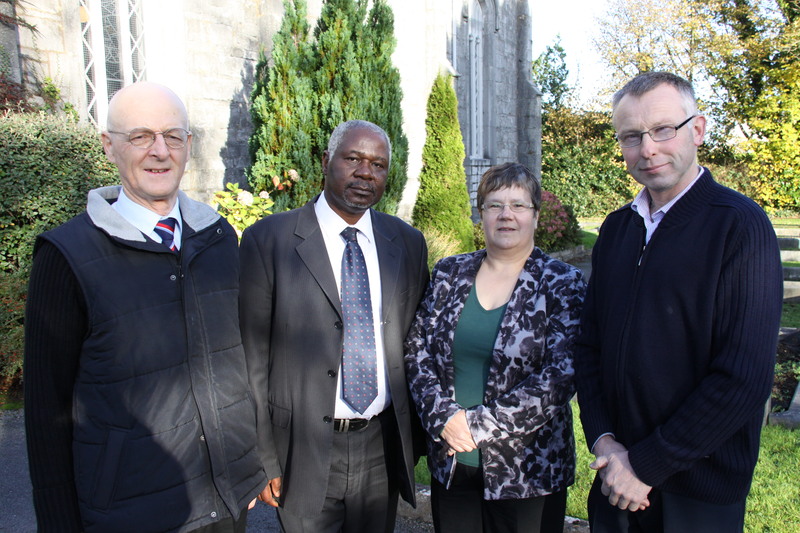 (l-r, Patrick Culleton from Bandon, Emmanuel Adebisi from Mallow, Carole Pound from Skibbereen and Gordon Coombes from Clonakilty). Readers are lay people who have been selected, trained and licensed by the bishop of a diocese to preach, teach and lead worship in a pastoral context. I’m thrilled to be licensing four new readers on Sunday to add to our team of 22 Diocesan Readers. For their final training session I brought them to the place where, in 1980 I started off myself as a Diocesan Reader. It felt a bit like something Lord Sugar would do with his potential Apprentices, but Frankfield, is a normal sized, usual type of church in the Diocese, and it inspired me to share with the candidates the sorts of things I learnt myself in that place as I set out on the responsible task of preaching, teaching and leading worship. We are very fortunate to have people of the calibre we have serving as Diocesan Readers in our Diocese. Trying on the Readers’ robes for the first time! This entry was posted in Bishop, Church Services, Diocesan Readers, Lay Ministry, LIcensing. Bookmark the permalink.